On Tuesday morning, the debate moderators confirmed they are embracing a format that a broad bipartisan cross-section of activist and civic groups known as the Open Debate Coalition have been pushing for years. Americans will be able to submit and then vote on questions online at PresidentialOpenQuestions.com, and ABC and CNN have agreed to consider the 30 most popular queries when they jointly plan the debate. “This year’s presidential debate moderators will have a rich pool of voter-submitted questions they can draw on that carry greater weight because they are backed by votes from the American people,” Mike McCurry, a co-chairman of the Commission on Presidential Debates, said in a statement accompanying the announcement by the Open Debate Coalition. Conventional wisdom is that a town hall is about connecting with the audience, demonstrating empathy and thinking fast on one's feet. You never know what subject might be broached. There's an intimacy in this as well as a nice fringe benefit — real voters are less likely to dwell on the candidates' personal foibles. This might also be the best chance to judge the candidates as human beings and find out whether they can truly appreciate the concerns of average folks instead of just using them as the means to re-raise familiar talking points. "We're experiencing a great movement towards networked, grassroots democracy, and anything citizens can do to promote that is good for the country. 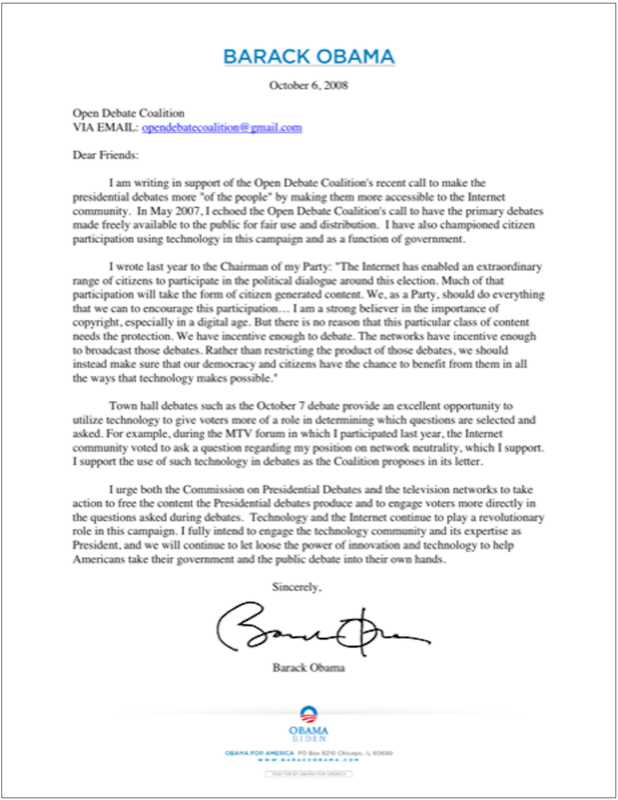 The Open Debate Coalition's principles mark a significant step forward in that direction."